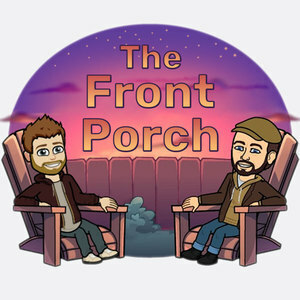 We found 8 episodes of The Front Porch with the tag “movies”. Episode 39: No Sci-fi for You! We chat about MMOs and mobile games, our weekly LOTR LCG update, and talk at length about star wars and film genre fatigue. Wrap up Violet Evergarden, last week's challenge. For next week we're watching the newly re-edited Arrested Development season four. This week we discuss our amateur opinions of the Oscars, a practical effects actor Doug Jones, and Mike shares his Overwatch experiences. This week's Weekly Challenge was the movie Mute, and next week's is the show "End of the F---ing World"
We discuss our impressions of "The Greatest Showman" and give some video game updates. In our new Weekly Challenge segment, we watched Black Mirror. In our post-Super Bowl episode, we talk about the various trailers shown during the game, catch up on a few video games, and wrap up with our favorite ads. Our impressions of the Jumanji movie, and a rundown of various TV shows we're watching and different storytelling styles.